The other evening I harvested the first of this summer's zucchinis*. I purchased Black Jack seedlings from the nursery, but these have turned out to be something else entirely. They have the skin of a Black Jack but the shape of a Ronde de Nice. I think some accidental cross-pollinating might have happened at the seedling nursery! Luckily I don't care what shape my veggies are, I'm just happy to have home grown. I accidentally let two of the zucchinis get quite large - the super hot days we've been having and nutrient dense soil these are planted in are responsible for that. No matter - being round these are perfect for stuffing. I prepared them for a weekend lunch with my family. They were delicious! Cut two palm-sized round zucchinis in half and scoop out their flesh. I put the scooped out zucchini cups into a square baking tray, filled them with the mixture, sprinkled with extra cheese and divided about a tablespoon of pure cream among each cup and baked at 180ºC for 40 minutes. Whilst a dish like this is a little warming to eat in 35 degree weather, they were still delicious and thoroughly enjoyed! 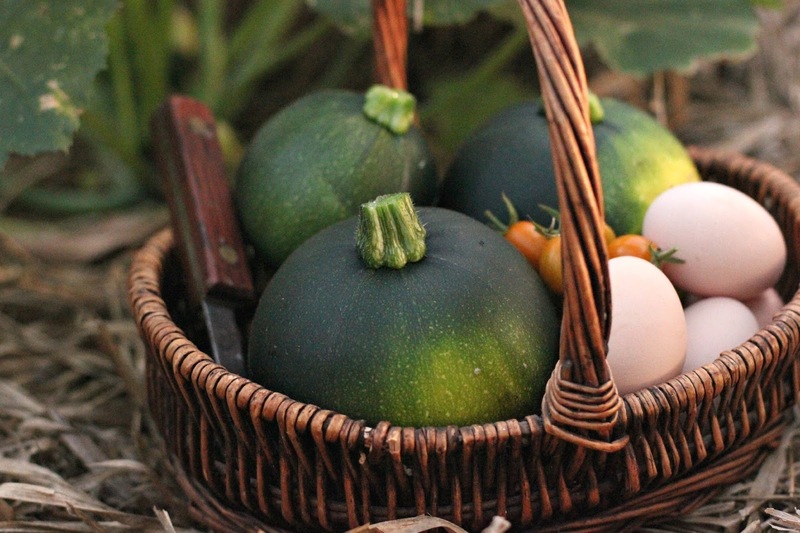 Are you harvesting anything from your garden at the moment? Do you have a favourite stuffing mixture?